Emmi graduated The University of Louisville in Kentucky with a Master’s in Speech and Language Pathology. 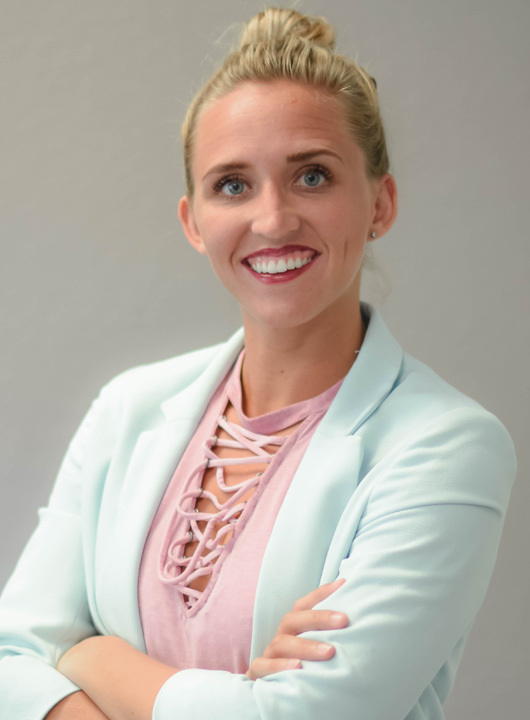 Originally from Indiana, Emmi started with an undergraduate degree in magazine journalism and fashion design from the University of Cincinnati. Her career trajectory shifted, however, after her nephew was born prematurely at 26 weeks. She was awed by how his speech therapist helped guide him in so many facets of life – from eating to communication to overall well-being. When her high school sweetheart-turned-husband landed a job in Southwest Florida, moving from the Midwest was an easy decision – especially considering her sister had been living here for a decade. She was excited to join the FOCUS team soon thereafter. Although Emmi learned a great deal working with adults (she has experience in a Level I Trauma/ accredited stroke facility as well as adult day care), she most enjoys working with children. Her young patients have amazing energy, willingness to learn and a great love for their therapists. They keep every day fun! She is fascinated and inspired by her patients, and has had noteworthy success working with children who have down syndrome, autism, childhood apraxia of speech and dyslexia. She believes each child has something special and unique that makes them “tick” – or in the case of speech therapy, “talk.” She is familiar with American Sign Language and also has training in Basic Life Support. Her therapy philosophy centers on a willingness to discover what motivates her patients. FOCUS stands apart as a therapy provider, she says, because each therapist strives to understand every patient as a whole, and therapists are constantly learning strategies and techniques from each other.